« Day 212 in Beijing: Truth in Advertising. 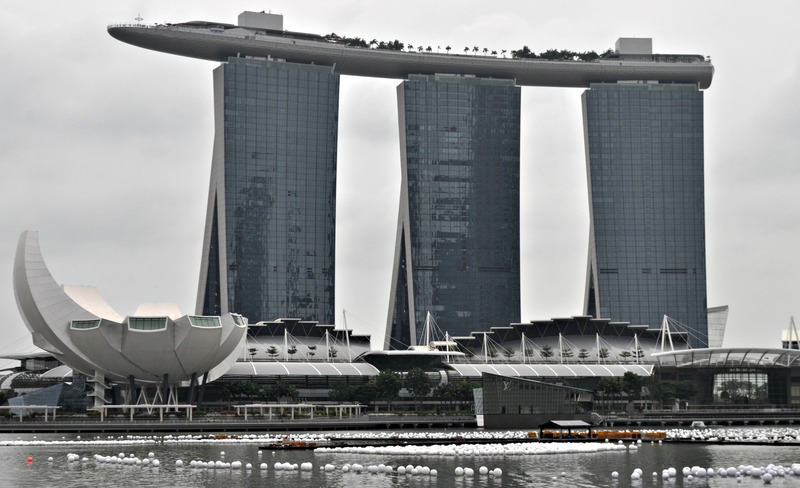 Day 213 in Beijing: Marina Bay Sands in the Daytime. I wrote about, and took pictures, of the New Year’s Eve party that we attended in Singapore a few days ago. 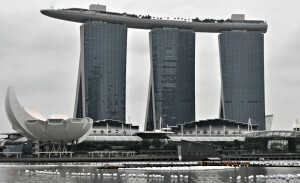 The hotel that was featured was the Marina Bay Sands and it has a “ship” on the top of the three skyscrapers. It was a bit difficult to see this in the pictures at night so I thought I’d go back and take some pictures during the day. Almost everything in this area has been built within the last 10 years. It gives me a perspective on how quickly Asia is moving and how the economies here are booming. The Helix Bridge is a very cool bridge to walk through and take pictures of the surrounding skyline.